A short to medium height plant this perennial vetch is characterised by its silky pinnate leaves and flower head crowded with many small flowers each with a woolly calyx. Kidney vetch flowers can vary from very pale yellow through to orange and occasionally crimson but our plants are a typical mid yellow. Flowering occurs from June to September. 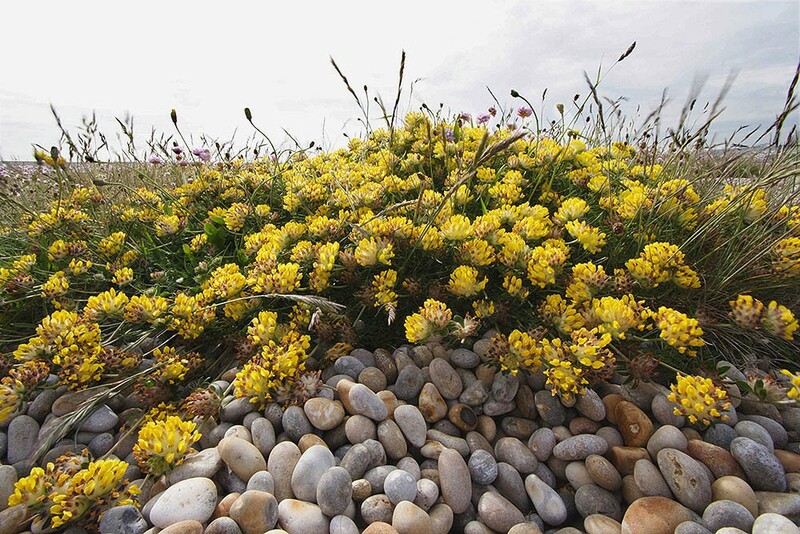 Kidney vetch is found on free draining calcareous soils on chalk and limestone grasslands, rocky outcrops and near the sea on shingle and sand dunes. About five sub species occur in the British Isles, three of which are native and the other two are recent introductions. The native population appears relatively stable. Kidney vetch provides food for a number of beetle and moth larvae but, most importantly, is the sole food plant for the caterpillars of the small blue butterfly. The flowers also provide nectar and pollen for beetles and bees. 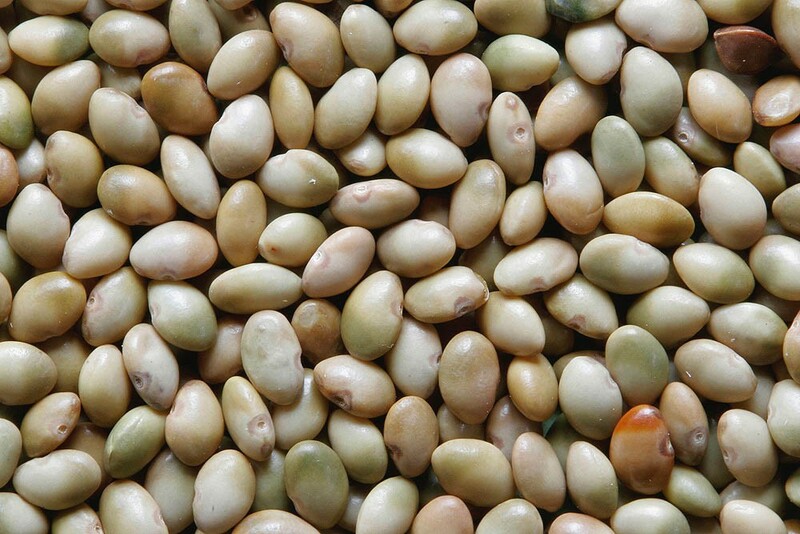 Kidney vetch is best sown in the autumn and in common with many legumes the speed of germination is improved by scarifying the seed. 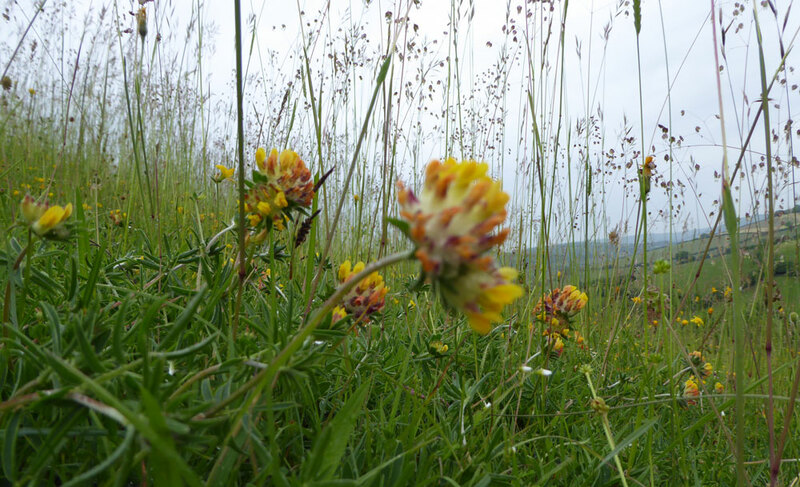 Given a bare, infertile site Kidney vetch can become the dominant pioneering plant before giving way to other species as the site matures. 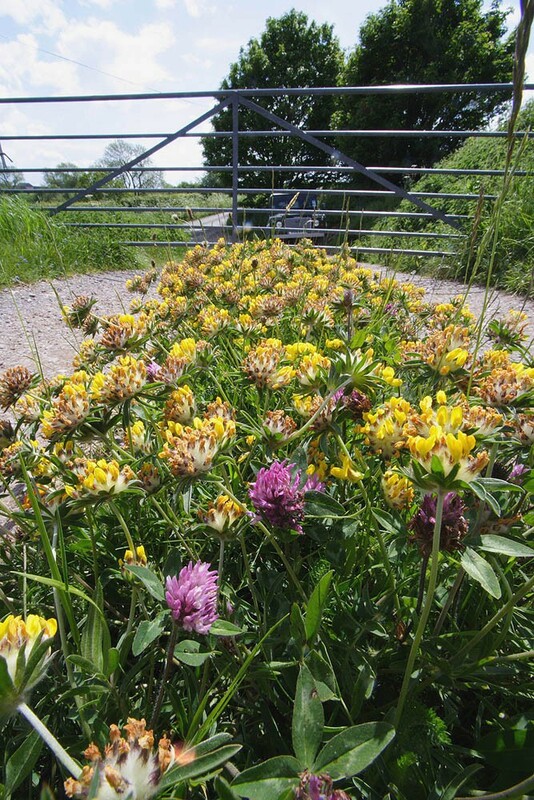 If you sow a mix containing Kidney vetch it might take over for the first two years or so; however this is normally a temporary phase and rarely effects the establishment of other species. Kidney vetch is a short lived perennial and propagates almost entirely by seed; it is therefore important to have some disturbance to the soil if the plant is to persist. This can often happen in the process of cutting a meadow and removing the hay but if you find the species continues to decline it is worth giving the sward a bit of a harrow after the hay cut. 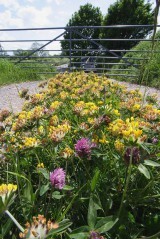 Kidney vetch is a component of EM6 but could be added to EM5 or EM7 if the site it is to be sown on is not acidic.